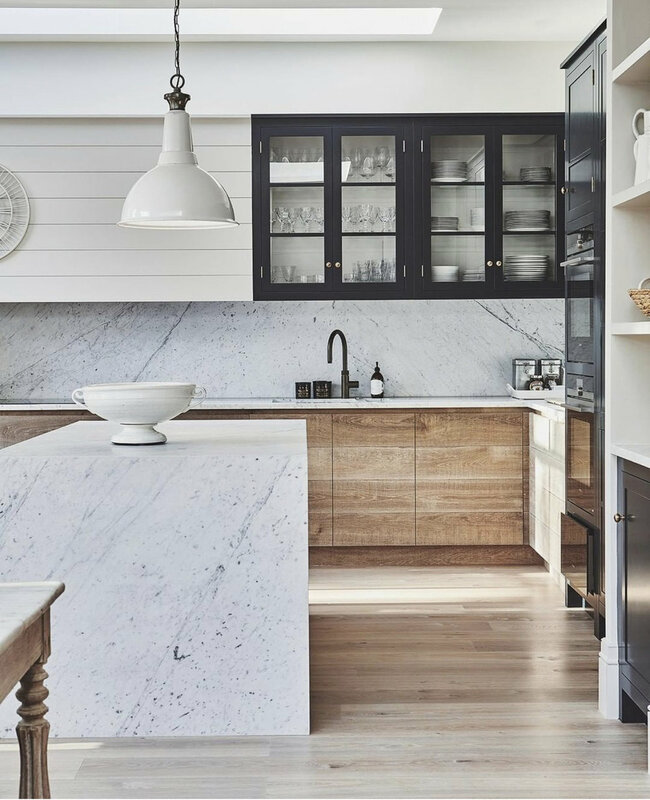 If you cringe at the idea of all-wood kitchens, you’ve probably been around all the wrong ones! What’s fresh in our memories are the tuscan-style track homes, wood veneers, and dated cherry cabinets. 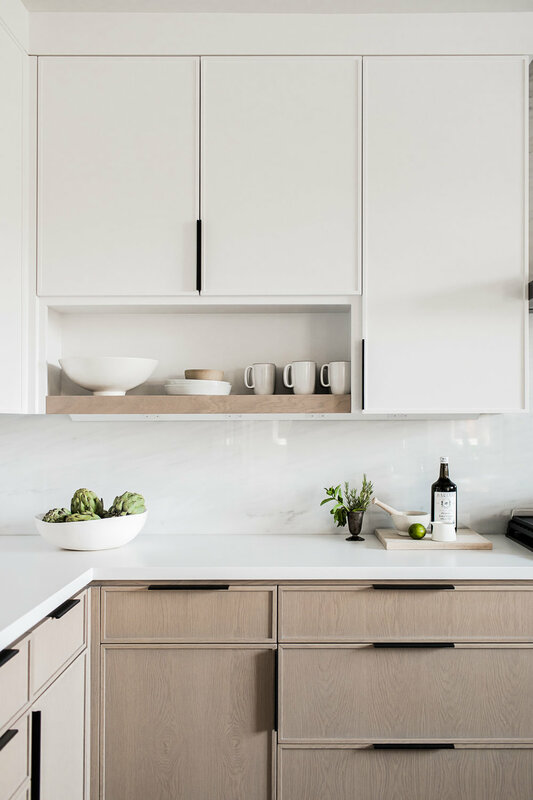 To battle that style, we saw a shift toward all-white kitchens—which has been a common request from our clients. 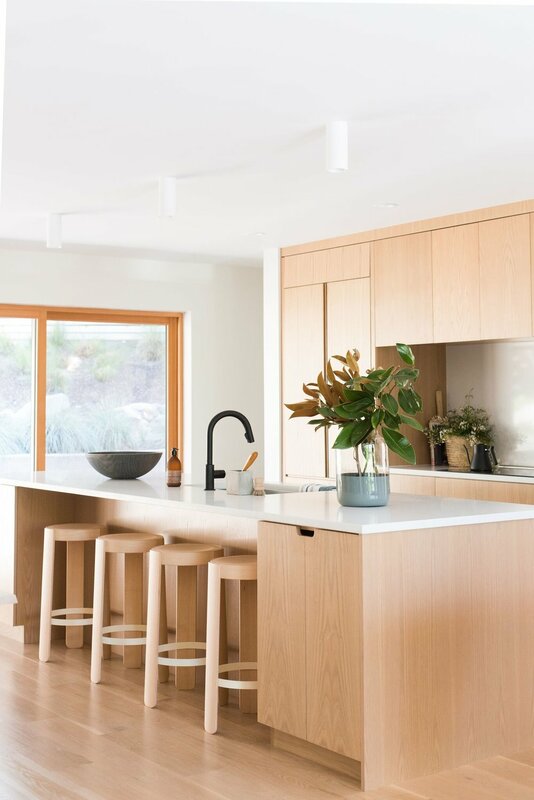 For a while now, we’ve been loving the new approach and emergence of the classic all-wood look. It’s streamlined for a modern style and adds a lot of warmth to traditional looks. Plus. it offers a bit of texture that a solid color just can’t. The beauty of incorporating natural wood is that you don’t have to go all in. Try using it with a two-toned, or even three-toned kitchen! 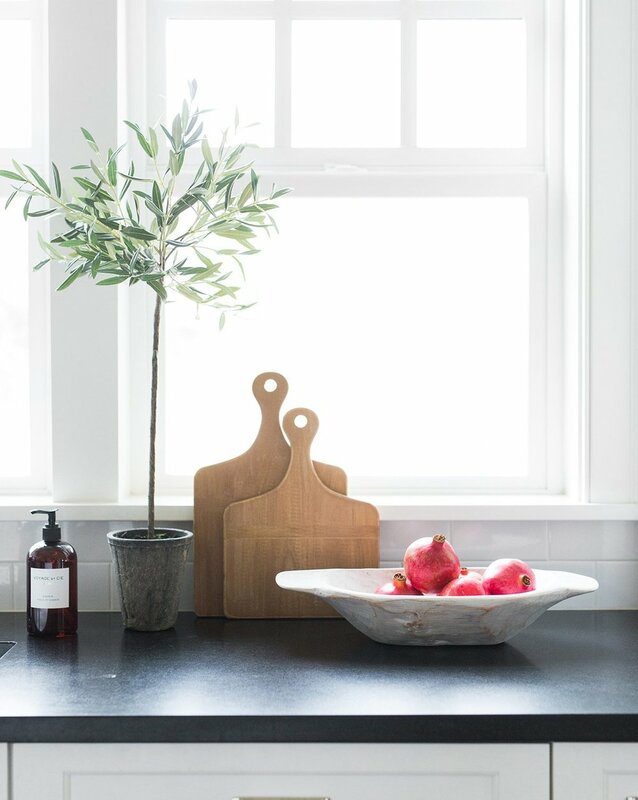 Have fun creating contrast with a stone, marble, or tiled backsplash. It works with a bright and airy space, or a dark and moody space. We love it in a traditional space and we love it in a modern space! Breaking up the all-wood look with open cabinets and shelving gives your eye a visual rest! 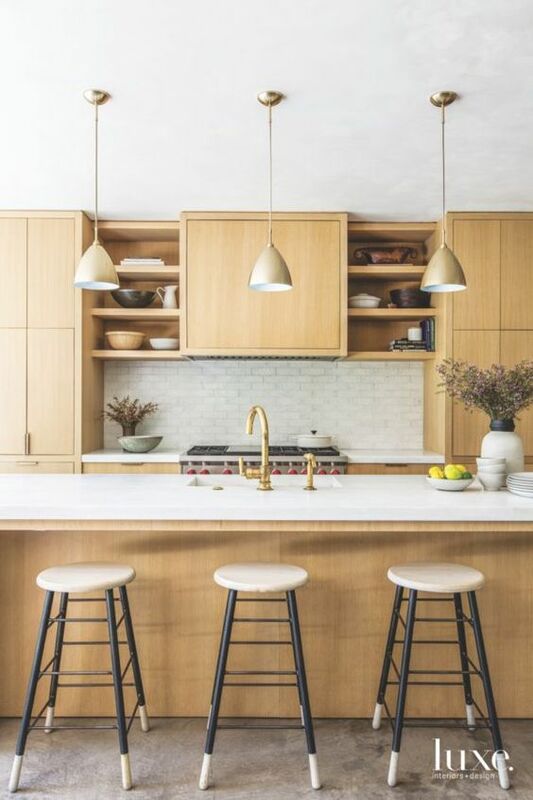 Can’t commit, but want the benefits of the natural warmth and texture—try two-toned cabinetry! 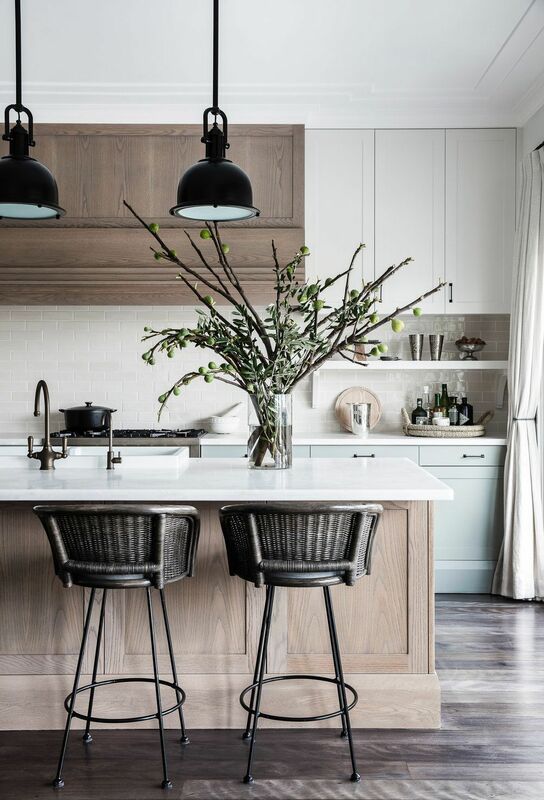 A dark wood brings a richness to the space, creating a moody kitchen! If you’re not looking to rebuild or create a custom island, we recently added an island to our shop! 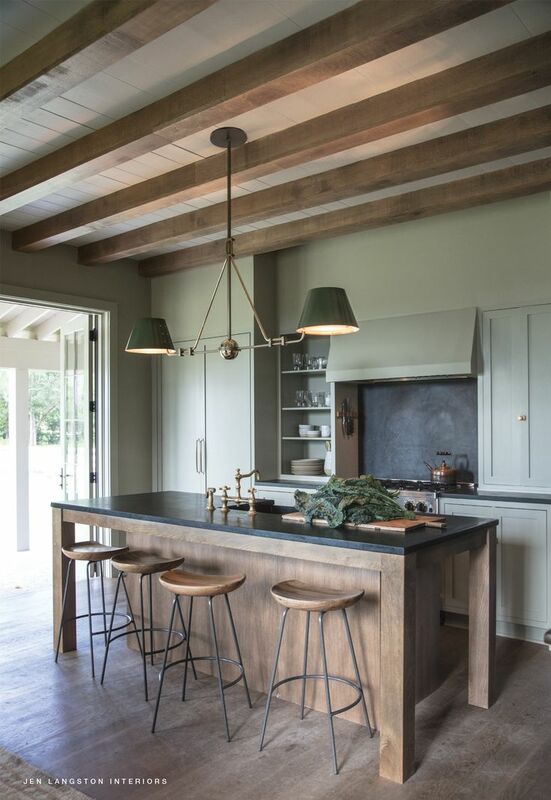 The Calum Kitchen Island is modern and rustic, with plenty of storage space. Not ready to commit? Give the trend a try with a piece of decor. 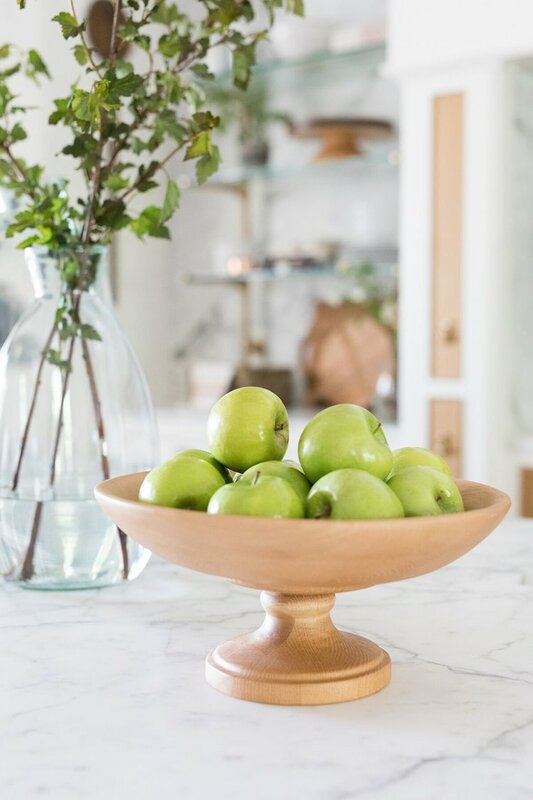 The natural feel of each piece makes it versatile in almost any space or design style!